Tropical storm Pabuk closer to southern coats of Thailand, propelling thousands of people to be indoor, seek shelter inland, suspending ferry services and closing a air services at major airport. Nakhon Si Thammarat, the airport was closed and authorities made rounds on Friday morning urging people to leave before roads are blocked. Nearly 6,176 people have been evacuated to shelters from Nakhon Si Thammarat as well as the provinces of Pattani, Songkhla and Yala, the Department of Disaster Prevention and Mitigation has said. Tens of thousands of tourists have fled popular resort island areas of south east coasts of Thailand ahead of Tropical Storm Pabuk, a potentially devastating weather system projected to hit the country’s southern provinces,Surat Thani, home to the popular tourist islands of Koh Phangnan, Koh Samui and Koh Tao. by January 4. Pabuk is the first tropical storm in the area outside of monsoon season for 30 years. 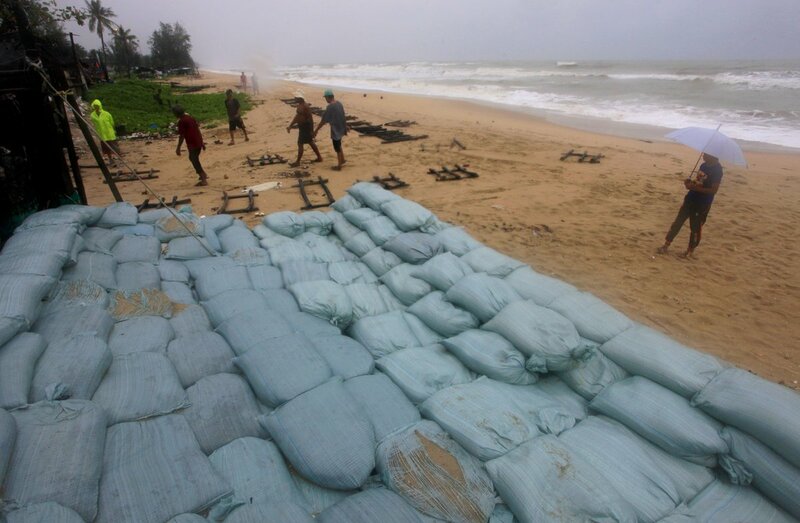 The Thai Meteorological Department’s director general warnedof waves up to seven meters near the eye of the storm, and advised that it’s hard to predict the full severity, “so people should comply with authorities’ recommendations.” Pabuk has generated winds of over 100 kilometers per hour, but is not expected to develop into a full typhoon. Thai Defence Minister Prawit Wongsuwan said the military was on alert to assist people affected.